So our fearless leader had a birthday recently...We all thought it would be fun to trick him and make him think there was an accident that he needed to address right away. This drew him out of the office like a buck out of the woods to a cake and the "Happy Birthday" song! He was surprised as I have ever seen him! We had a great time eating cake :) Happy Birthday George! 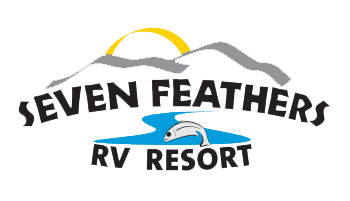 Seven Feathers RV Resort: Boss's Birthday Surprise! The crew of Seven Feathers RV Resort decided to trick and surprise our boss; George Chavez!